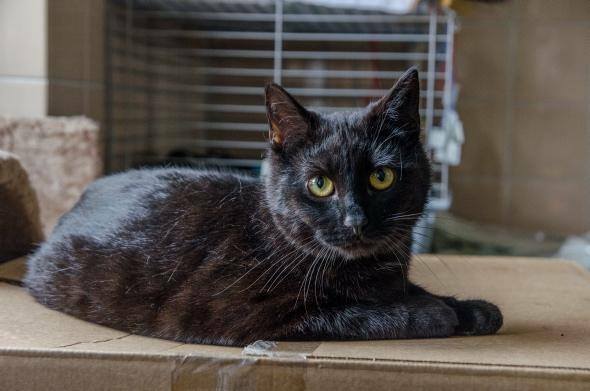 Meet Rademenes: a beautiful little black cat who has an incredible gift for nursing animals back to health. This sweet cat lives at a veterinary center in Bydgoszcz, Poland. Before Rademenes was taken in by the veterinary center, he was living on the streets, and he was very ill. Rescuers found the little kitten, and they realized he had a bad respiratory infection. 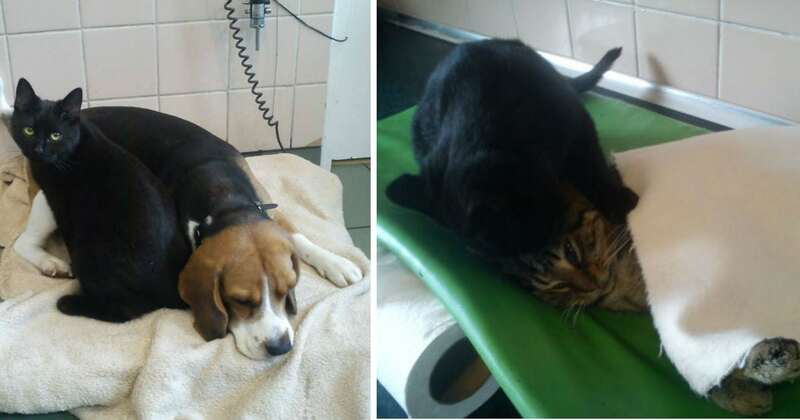 They brought him to a local veterinarian for treatment. 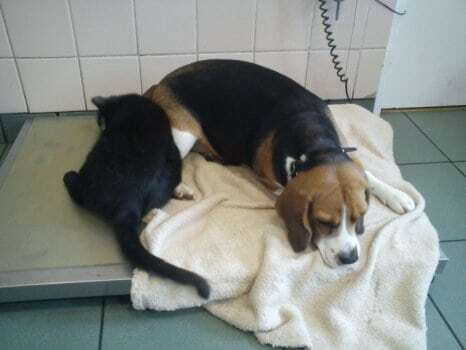 Since Rademenes was so young and sick, the veterinarian didn’t think he would survive surgery, and she considered putting him down. But then, Rademenes started purring, and the vet’s heart melted. 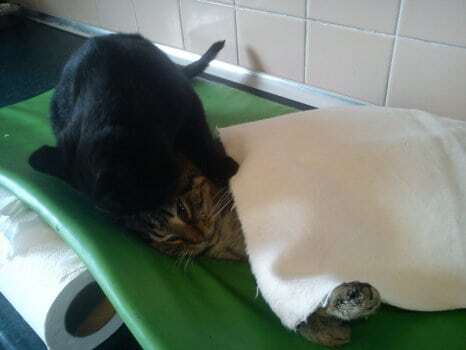 She decided she would do whatever it took to keep this little cat alive. Rademenes was a fighter, and he pulled through. Soon, the cat was happy and healthy! 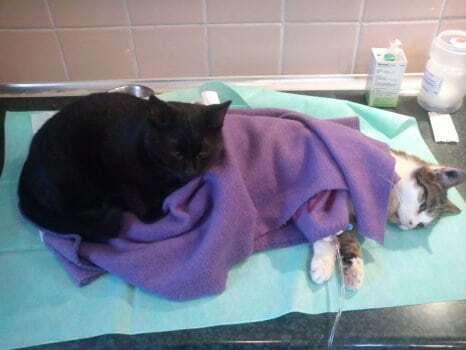 Once Rademenes had recovered, he started going up to other sick cats and dogs. He would sit with them and lick them, showing them they weren’t alone. 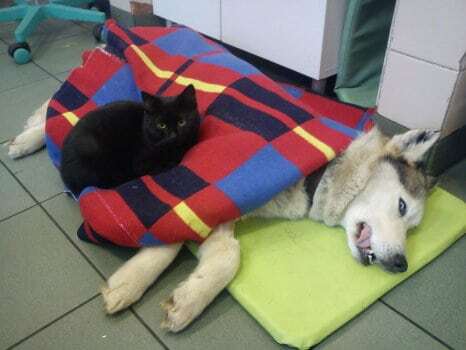 The veterinary staff was amazed to see how empathetic this cat was. Rademenes pays special attention to animals that had serious operations. He seems to understand these animals need a little more love and attention. Rademenes will hug these scared animals to show them that he cares about them. The veterinarians love having Rademenes around. They joke that he’s a full-time nurse and their mascot! Rademenes story also spread around his hometown in Poland, and he quickly became a local attraction. An Imgur user named KimfromNorway shared photos of Rademenes on her page. The photos quickly went viral, receiving over one million views. Just like that, Rademenes was a bona fide internet celebrity! But Rademenes didn’t let the fame go to his head. 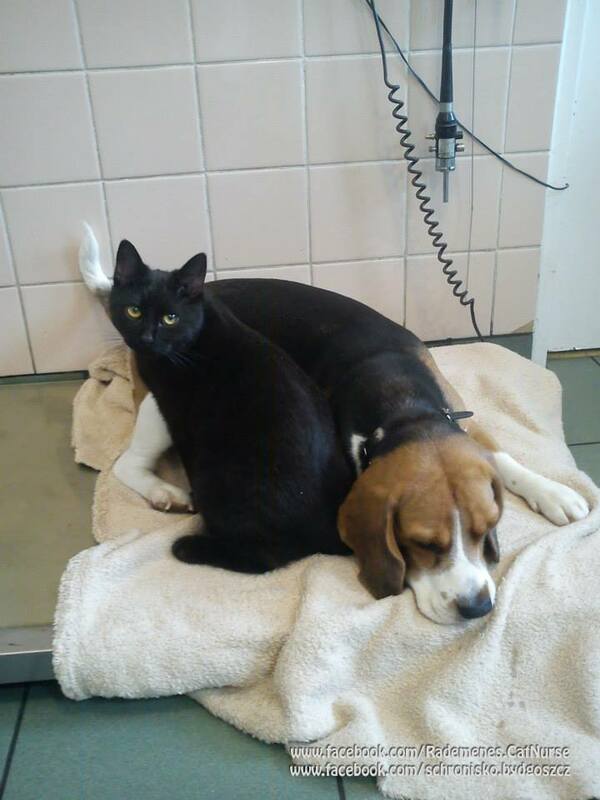 He’s still the same sweet cat who loves nothing more than helping other animals in need. After Rademenes went viral, the staff at the veterinary center started a Facebook page for him. It quickly received thousands of followers. Everyone loves seeing what this sweet nurse cat is up to! The veterinarians also share cute videos of Rademenes with his patients. 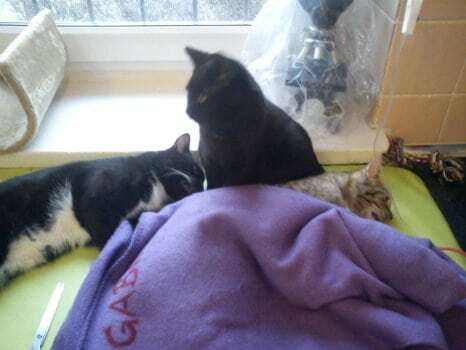 Here’s an adorable video of Rademenes helping another little black cat! 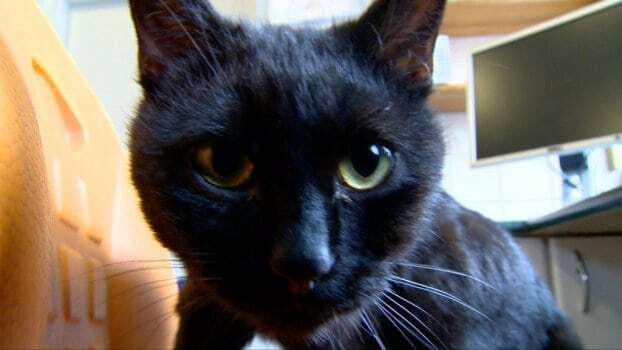 Rademenes is a sweet cat who loves spending time with animals who need a little love and support. If you’d like to see more photos of Rademenes at work, check out his Facebook page.